With the Toyota BT Levio & BT Staxio W-series (LWE140-250 & SWE080L-200D), pedestrian powered pallet trucks & stackers, Toyota Material Handling Europe is delivering on the promise of continuous improvement according to the Toyota value Kaizen. These compact & versatile trucks are now equipped with value-adding improvements and add-ons to the product features. Making the BT Levio & BT Staxio pedestrian W-models even more fit for (un)loading, stacking and horizontal transport in confined areas. 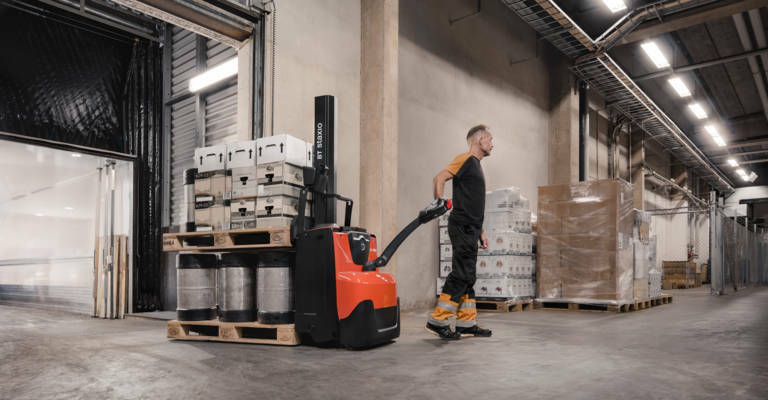 With the market segment of powered pedestrian trucks growing quickly, Toyota´s BT Levio powered pallet trucks and BT Staxio powered stackers have continuously been optimised to exceed customer needs. 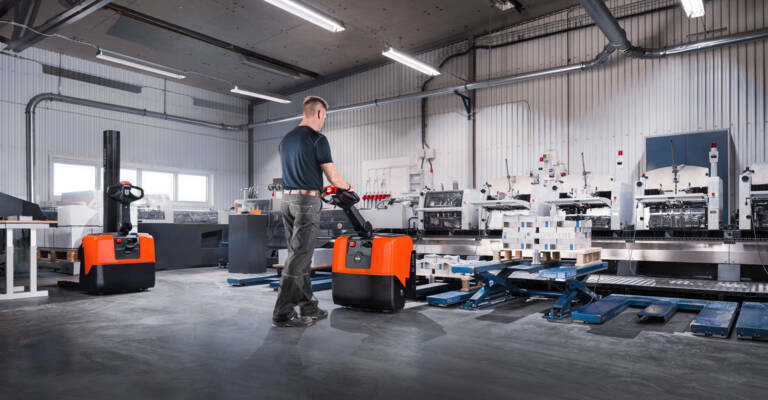 “The BT Levio and BT Staxio W-series have demonstrated just how easy pallet handling can be in a variety of applications for customers all over the world. 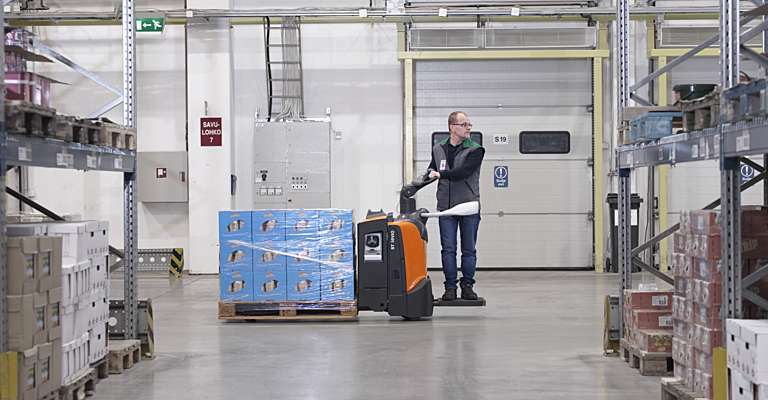 With our customers and their operations in mind, the products are now available with an even wider range of features and options contributing to increased productivity, safety and efficiency,” says Andreas Lindsjö, Group Manager Warehouse Walkies Product Management, Toyota Material Handling Europe. The stackers can be equipped with low-noise hydraulics as option, for a lower noise level. This makes these trucks ideal for working in noise-sensitive and quiet environments such as supermarkets, shops and on-board lorries during night-time deliveries. The BT Staxio W-series is now also available with a weight indicator that displays an estimation of the load weight on the forks. This prevents the lifting of too heavy loads, as well as overloading lorries, elevators and loading docks. The BT Staxio SWE080L-140L stackers with initial lift can transport two pallet loads at the same time (one on the support arms and one on the forks), while the BT Staxio SWE200D is designed specifically for double stacking. The ability to transport two loads at the same time contributes to higher productivity. The battery lid cover and motor cover of all BT Levio & Staxio W-models have been updated for improved robustness, aligning the design with the rest of the product family. Both W-series can be equipped with speed reduction when cornering, making them ideal to handle tall and unstable loads. This improved stability prevents damages and injuries from happening, for enhanced safety in the workplace. The BT Levio & BT Staxio W-series offer increased energy efficiency, improved operating time, and decreased CO2 emissions. Each model is also available with on-board charger, for quick and easy charging on board of a lorry to save time. As standard, every one of these trucks is available with lithium-ion battery technology, assembled in-house by Toyota Material Handling Europe. Lithium-ion-powered trucks don’t require any battery change, spare battery, or charging area. Instead, the truck can be charged when convenient, for example during breaks, with opportunity charging. Battery maintenance is also eliminated, and energy efficiency is improved up to 30% thanks to lithium-ion. All warehouse trucks produced by Toyota Material Handling Europe are also equipped with telematics as standard, making them a Smart Truck from Toyota. 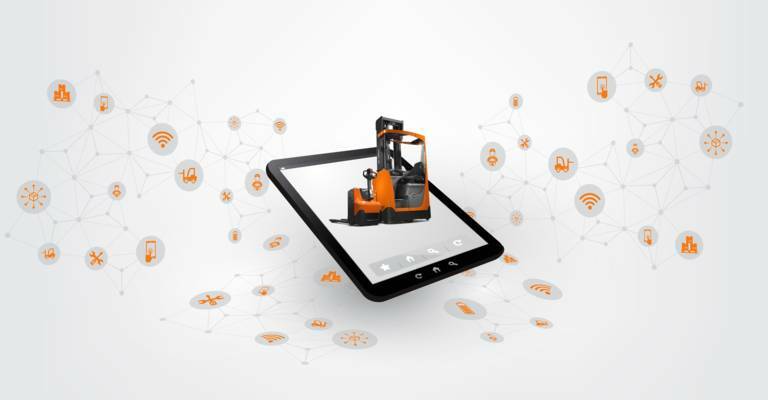 This allows customers to easily connect their forklifts to I_Site, for efficient measuring and improving operations in terms of productivity and safety, among other benefits.